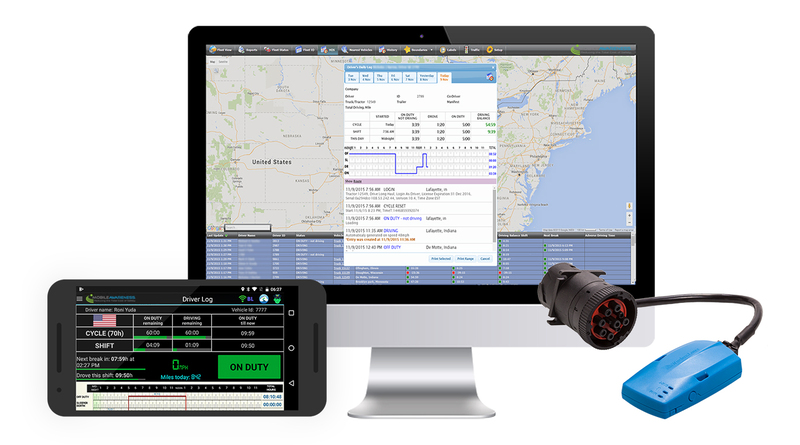 Mobile Awareness releases MobileTRAQ® ELD, a turnkey electronic logging solution to help fleets meet the FMCSA ELD mandate for Hours of Service (HOS) while also relaying data to management via the MobileTRAQ® web platform. Cleveland, OH, November 20, 2017 --(PR.com)-- Mobile Awareness, a leader in transportation safety products for commercial fleets, announces the release of a new Hours of Service (HOS) solution providing transport businesses a paperless Federal Motor Carrier Safety Administration (FMCSA) compliant system. It is fully integrated with Driver Vehicle Inspection Report (DVIR) & International Fuel Tax Agreement (IFTA) tracking and reporting. Helping to create a safer driving environment, the FMCSA’s electronic logging device (ELD) rule is meant to improve tracking and managing of driving records. With the MobileTRAQ® ELD solution a commercial fleet not only will be ELD compliant, the data becomes more useful in optimizing operations. With ready access to online logs and real-time remote monitoring, potential violations can be resolved as needed. Data can be used to educate and train drivers that are at risk for hours of service violations, as well as unsafe driver behavior. In addition, the pre-trip and post-trip DVIR simplifies the process of error-free inspection and documentation further enabling well-timed vehicle repairs. MobileTRAQ® ELD consists of a mobile application installed on any Android device and the web based MobileTRAQ® platform. The HOS data is continuously and automatically synchronized with the records stored on the server. If the driver loses or breaks a device, the server will automatically update a replacement device. In addition fleets can benefit by bundling the ELD capabilities with asset tracking/navigation as a part of the fleet management options. Moreover fleets can purchase a MobileTRAQ® ruggedized tablet that is constructed for harsh working environments. This in-cab, portable, 7-inch touchscreen tablet can be readily handed to an officer without fear of damage (water-proof to IP67, drop-proof to MIL-STD-810G). Included with the MobileTRAQ® ELD tablet is a cellular data plan for HOS, DVIR, IFTA and fleet management. The most thorough Hours of Service (HOS) solution compliant with the Electronic Logging Device (ELD) mandate, fully integrated with Driver Vehicle Inspection Report (DVIR) & International Fuel Tax Agreement (IFTA) tracking and reporting.